In my previous intermarket correlations update, I’ve shown y’all how the Aussie and gold seem to be headed for Splitsville. This time, I’m seeing a few intermarket correlations getting stronger and it looks like risk sentiment has been the major driving force. For the newbie traders out there, don’t forget to review our School lesson on forex correlations before reading on! Expectations of BOC tightening and their actual interest rate hike in July pushed the Loonie on a nearly non-stop rally against the dollar while falling stockpiles as reported by the API and EIA also lifted the positively-correlated crude oil. At that time, it was tough to tell whether the correlation would hold up or not since the currency and the commodity were being driven by separate market factors. In fact, Black Crack started moving sideways at the start of August as traders were waiting for more action from the OPEC and having doubts that the drop in stockpiles would carry on. Both crude oil and the Canadian dollar hit significant technical levels right around the middle of the month and showed signs of resuming their rallies. For now, it looks like inventory reports continue to support easing global glut concerns while upbeat economic data from Canada kept its currency supported against the weakening dollar. Towards the middle of last month, the Aussie and the precious metal appeared to be renewing their relationship as the currency pair and the safe-haven asset were both able to benefit from U.S. political troubles. The correlation started to break down around the end of July and the first week of this month as gold continued to climb on risk-off vibes while the higher-yielding Aussie gave way. A bit of consolidation can be seen on AUD/USD and gold can be observed for the past couple of weeks, with opposing market forces pushing and pulling the currency pair and precious metal. A stronger relationship can be observed between the Aussie and iron ore, which actually comprised over a quarter of the Land Down Under’s top exports in the past few years. As you can see from the chart above, there are instances wherein the correlation doesn’t hold up as well, likely due to short-covering and speculation. Apart from that, strong dollar dynamics also occasionally carry more weight in pushing AUD/USD around. Since the start of this year, though, the positive correlation has been going strong as rallies in iron ore have been accompanied by gains in the Aussie. When the commodity bottomed out last week, the currency pair followed suit and went on a strong rally as well. 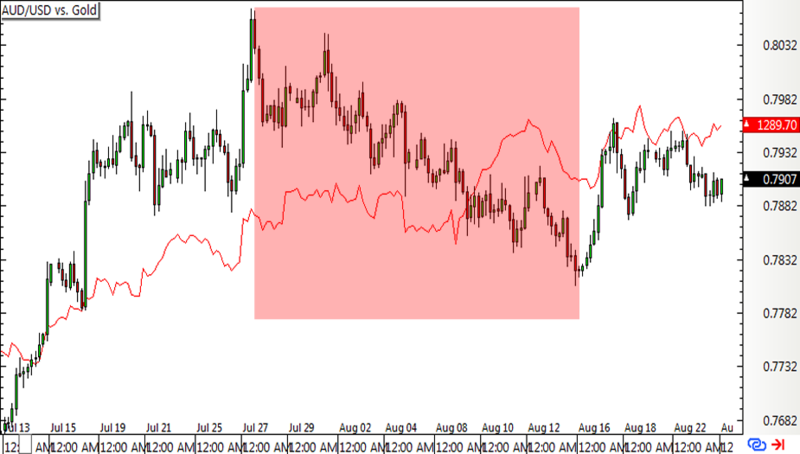 Last but most certainly not least is EUR/JPY and S&P 500, which are often considered barometers of risk sentiment. 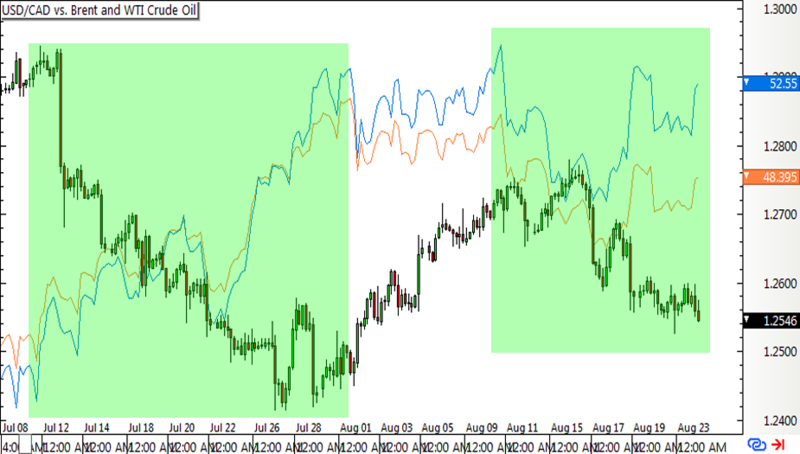 Consolidation came into play last June and it looked like the currency pair and index were in for a rocky ride. 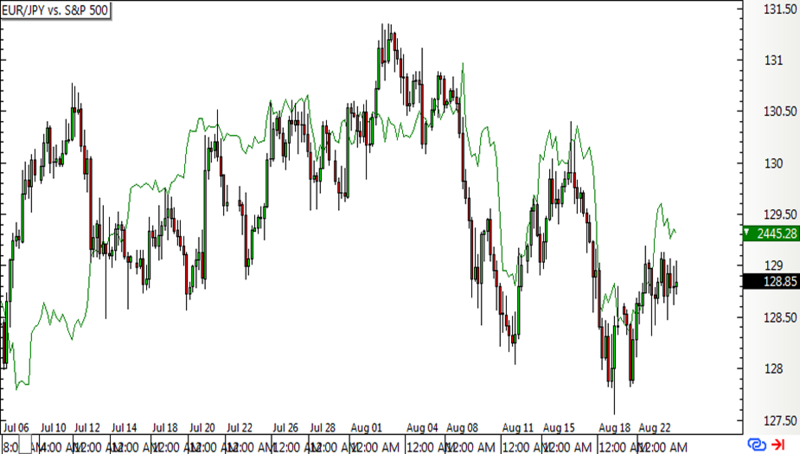 However, the relationship solidified throughout July as EUR/JPY and S&P 500 staged a continuous climb. Both the equity index and the currency pair topped out at the start of August and proceeded to make a sharp drop as risk aversion returned. Around that time, concerns about North Korea’s missile tests and threats sparked strong demand for the lower-yielding yen and led to a selloff in U.S. markets. The fallout from Trump’s handling of the Charlottesville violence also dampened demand for U.S. assets and drove traders towards other safe-havens like the franc and yen. Central bank rhetoric from the Fed, BOJ, and ECB appeared to take a backseat around that time as market participants got a pretty clear idea of where policymakers stand and weren’t expecting any major changes just yet. In a nutshell, it looks like market sentiment has been the main driver of price action for the past few weeks as headlines on North Korea and Charlottesville hogged the spotlight. 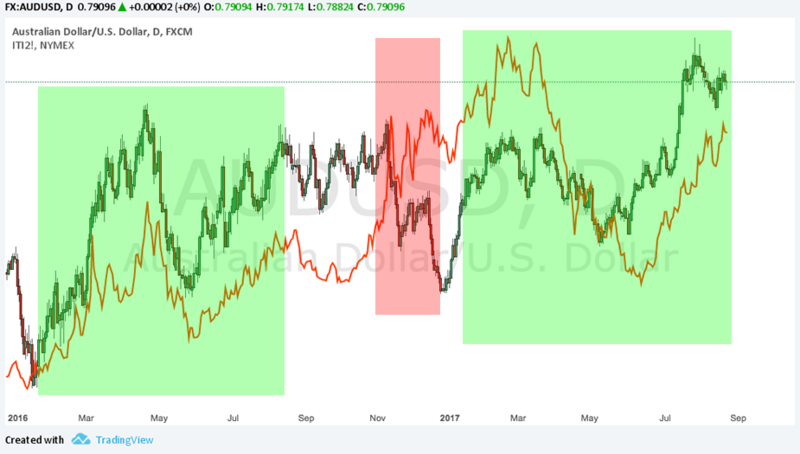 The relationship between AUD/USD and gold still appears shaky, so the correlation with iron ore might be more worth watching. Meanwhile, crude oil remains sensitive to supply data and the Loonie is paying more attention to Canada’s fundamentals.